Rapid Induct contains a library of pre-written courses for workplace training. Issue workplace training at the click of a mouse. These courses were reviewed by our legal partner Lynch Meyer Lawyers and are consistent with current Australian legislative requirements. 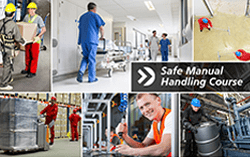 Learn about the prevention of manual handling injuries through the understanding of manual handling risks, risk minimisation and control. This course provides workers with an introduction to manual handling, how to plan and conduct safe manual handling tasks and finally, how to monitor and review your manual handling processes. This course is included in the Rapid Induct free pre-written course library. This Safety Licence / Permit To Work course provides information designed to educate and assist workers conducting or performing tasks and activities that require a safety licence or permit to work. Completing this Permit To Work course will provide workers with an understanding of the purposes, context and requirement of the safety licence or permit to work and typically applies to all work performed by maintenance staff and/or contractors. This hazard management course provides workers with an awareness of hazards in the workplace, where to find them and how to successfully identify them. This hazard management course also introduces the worker's role and responsibilities in regards to managing risk, with the aim of minimising the risk of injury and/or illness within the workplace. Covering topics such as Assessing Risk, Selection of Risk Control Measures and Identification of Hazards, this Hazard Management Course will equip your workers to be able to determine suitable risk control measures within the workplace. This course covers the importance of working safely at heights, from ladders to elevated platforms, together with safe access to structures. Covering topics including risk assessment, falls prevention, rescue of workers and emergency procedures. Learners are equipped with an understanding of how to identify potential or existing hazards associated with working at heights, how to perform a risk assessment and how to identify the equipment needed to work safely at heights. This course is to provide you with the fundamentals of Workplace Health and Safety responsibilities of workers in promoting a safe workplace. It describes the process of how to effectively resolve Workplace Health and Safety issues and explains the risk management approach. This course is to provide you with the fundamentals of Workplace Health and Safety for managers and supervisors in promoting a safe workplace. It describes the process of how to effectively resolve WHS issues and explains the risk management approach. Privacy of information training. This course will consider the privacy issues which affect your day-to-day operations, as well as an overview of the legal framework which sets the rules in this area. Covering topics such as understanding the importance of the individuals rights to privacy and the correct collection, handling and disposal of personal information. Fire Safety Awareness training. This course provides awareness of the basic requirements of fire management in the workplace. It will discuss the importance of having suitable preventative systems and emergency control measures within the workplace. Covering topics such as Fire warning and detection systems, evacuation drills, incident example and debriefing, fire fighting equipment and their maintenance. Learners will be equipped to identify suitable firefighting equipment, outline suitable workplace procedures for fire and evacuation and discuss the objectives of carrying out regular evacuation drills. Electronic Communication and Social Media in the workplace training. Understanding responsible use of electronic communication and social media in the workplace, your legal obligations and the consequences of misuse. This online course defines the terms of social media and electronic communications within the workplace and identifies what is appropriate and inappropriate use of electronic communication. Topics covered include Using Social Media for Discrimination, Bullying and Harassment, Legal Consequences and Strategies to avoid breach of company or legal requirements. 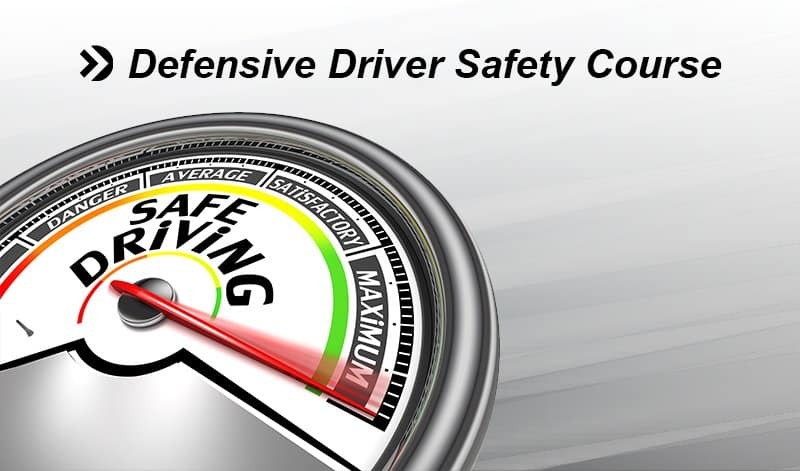 Defensive Driver Safety Awareness. Providing knowledge and training on safe vehicle operation to raise the standard of driving of persons of all driving skill levels. Covering topics such as hazard prevention, braking, parking, night driving, regional driving, fatigue and drugs and alcohol. This course provides training on the positive points of defensive driving, understanding the importance of correct seating, steering and mirror settings as well as the consequences of driving whilst fatigued. Workplace Drug and Alcohol Awareness online course. Providing training on basic awareness and risk management strategies in response to workplace drug and alcohol problems. This training course will cover topics such as the effects of drugs and alcohol in the workplace, duty of care, discrimination, occupational risks, developing a drug and alcohol policy and effective communication and employee consultation. At the conclusion of this course the learner will be able to identify suitable solutions for dealing with affected persons at the workplace, outline the best outcome following an incident and identify the key areas that form part of an effective Workplace Drug and Alcohol program. Director's Course. This course is ideal for board of directors members and provides training to assist in decision making and improve board of directors performance. The course covers topics including, the role of the board of directors and the practice of directorship, decision making, Director's duties and responsibilities, the Board's legal environment, Risk, Strategy and the board's role and financial literacy for directors. As a result of completing this Director's course, the learner will be better equipped to understand the role of the board, outline the Director's key duties and responsibilities, describe the importance of a Board of Director's role in developing a risk culture to improve performance and demonstrate an understanding of key financial statements. Code of Conduct. This course provides learners with an awareness and guidance, in relation to maintaining appropriate standards of conduct in the workplace, i.e. employee responsibilities, obligations and expectations. Covering topics such as Values and Expectations, Working with Integrity, Handling Confidential Resources, Conflict of Interest, Probity and Reporting of Misconduct. Upon completion of this Code Of Conduct online course, learners will be equipped to handle information of a confidential nature, identify conflicts of interest, know how to respond to offers of gifts or favours, understand the consequences of breaching a code of conduct and know how to correctly report unethical behaviour. Contractor Safety Induction. This course provides information and training on the responsibilities of contractors when working in relation to the Australian Work Health and Safety legislation. Topics covered during this course include Contractor Duty of Care, Hazard Management, Environmental Management, Emergency Management, PPE, Permit to work, Safe Work Method Statements, Plant and Equipment, Working Outdoors and Good Housekeeping. By providing contractors with an understanding of their responsibilities, this course will assist the contractor to identify their responsibilities, inform the contractor on how to work safely and keep the workplace safe for others, contribute to the consultative process and practice safe work methods. Bullying and Harassment in the Workplace - This course provides an awareness and understanding of Bullying and Sexual Harassment issues within the workplace, and how to create an equal opportunity environment for all workers. The Bullying and Sexual Harassment course covers topics such as definition of workplace diversity, understanding what constitutes workplace harassment, eliminating prejudice and avoiding stereotypes, discrimination and how to identify the different types of workplace harassment. At the conclusion of this course the learner will have gained knowledge on areas such as; how to differentiate between direct and indirect discrimination, what their role is in ensuring their workplace is free of harassment and should be able to demonstrate an understanding of diversity in the workplace.